When coming back from Arkansas, our lunch was at Three Angels Diner. It’s a tiny restaurant with a modern feel. 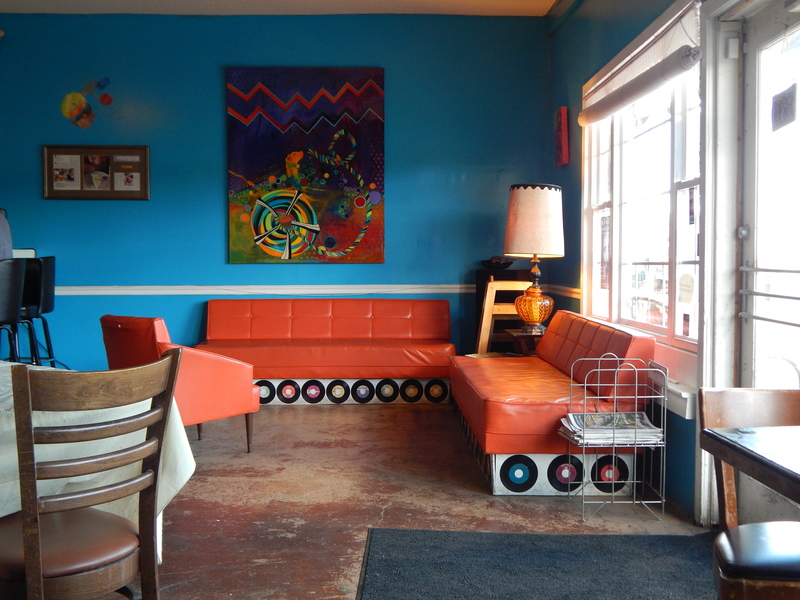 The walls and furniture are colorful and decorations ranged from classic records to paintings from local artists. It was a Sunday, so only their brunch menu is available, but we still managed to find something good. 😉 There are several vegan options available including tofu scramble, biscuits in gravy, sausage, bacon, and hashbrowns. Pretty much anything on the menu could be made vegetarian too by subbing in the vegan meat options. 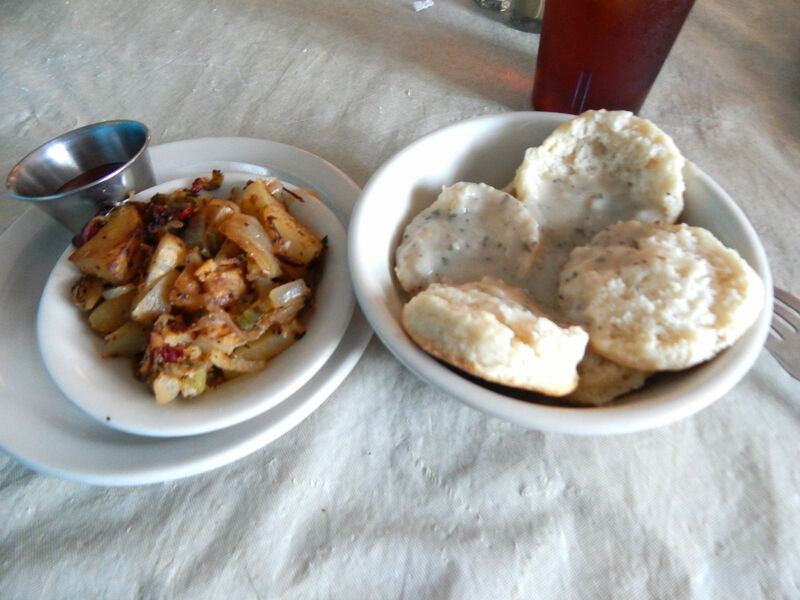 I settled on biscuits and gravy with flat top potatoes. The biscuits were fluffy and the gravy was peppery and rich. It was so good that I’m now on a mission to recreate this masterpiece at home. Hopefully that will result in a new recipe to post here soon. Memphis is a gem for vegans to eat at. 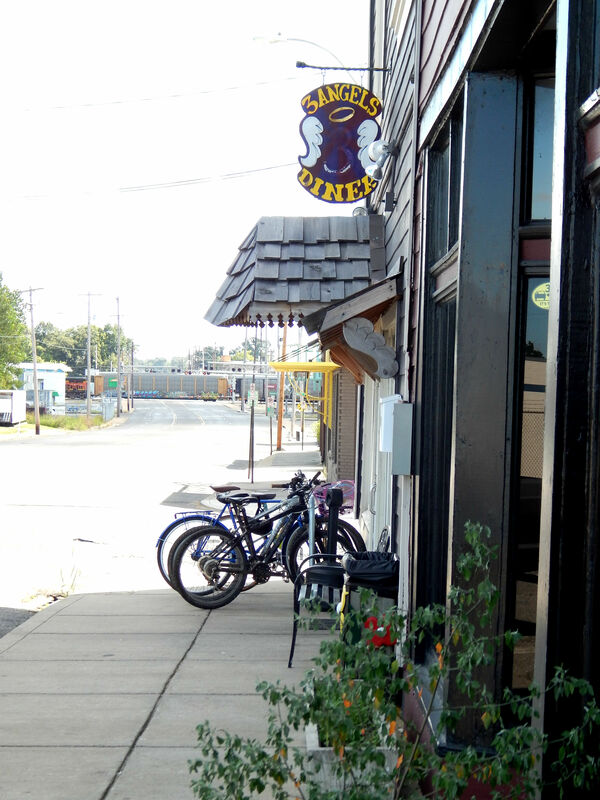 Three Angels Diner and Imagine Vegan Cafe are just a few of the many options available there.